Case and point. Was about 8:00 CDT. Reason: teamkilling of AA by a conscious air bombardment close to Foxtrot sector. This is a crystal example of teamkilling and this TKer has to be banned. Replay attached. Oh dude, no way. No one cares about TKing (except absurd situations), not even talking about hell in the warchat. Dangermouse wrote: This guy is really sick! Posts during the game, that he has the right to teamkill and that he soon will get the rights from Eugen to kick players. In my opinion, he needs a doctor and a long ban to know that this is not ok. I remember him from a 10vs10, it was awful, he once teamkilled our most expensive vehicles at the start with bombers and then left. Player Amador the Borderline is teamkilling. See replay in attachment. Is Eugen blocking these players or is this report useless? Somebody wrote: Is Eugen blocking these players or is this report useless? 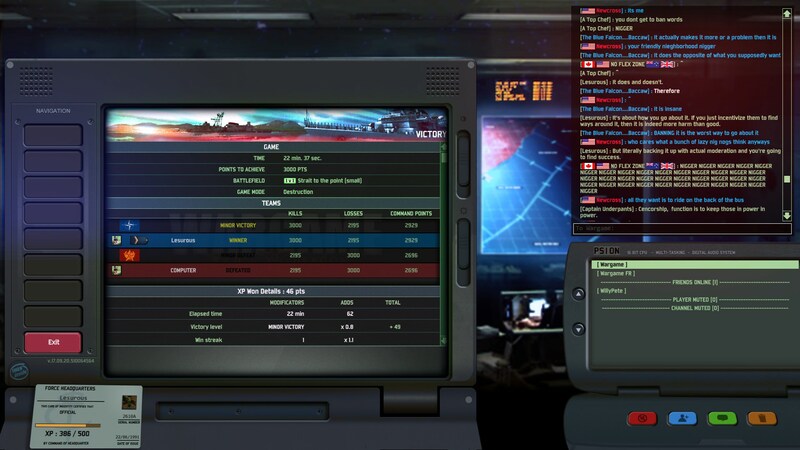 Many of the servers are not hosted by Eugen but by private persons, who have the control of their servers. When you notice teamkilling or cheating which you think needs to be reported, remember also to list ALL details of the incident. Look at the reports made earlier, you can see there easily which reports are good and which reports are bad. Bad reports probably will not get any attention. It is mostly manual labour to go through the logs and replays to confirm the incident and set bans on players, so that's why you have to describe it with enough details. Really? Proofs pls. Otherwise you're a liar! Frankly, all my reports received no response. That's why I've stopped to report teamkillers. Even more, some of early reported TKers have been still TKing and there is no way to ban them. Only if Admin(s) is/are playing at the moment, then he/they block(s) violators. Well lets hope Eugen would do sequel to Wargame Red Dragon (which seems to not happen? ), where these things would be better taken care of. Couple things come to my mind easily. One would be somekind of automation in serverside to detect teamkills which should be doable programmatically. Other thing would be some kind of player based voting system so the players can themselves vote some bad behaving players out of server. The latter of course have some risks so it should work only temporarily and also server admin should get better tools to follow all these things happening. I am sure there would be lot of ideas and mechanisms to make this thing lot better, but I guess that requires also company to put money into it. Creating a game isn't actually very cheap I believe.